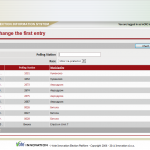 Here the first entry, as well as the review and change of the results forms for all active election races, is made. 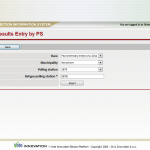 The system provides reports and reviews for the process of entering the results by polling station, by municipality or summary. 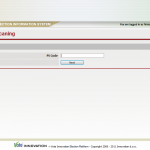 The voter lists are activated and scanned. The Central Elections Commission makes the second entry of the results for all active races and the system provides a review for this process too. There is a possibility to solve the mismatches between the two entries and to review all the entries (first, second and final). 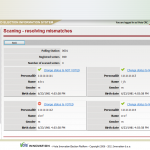 With this module, the results are validated in order to find and remove the invalidates. The results by polling station can be locked and unlocked. The tolerance level of the appropriate polling station can be setup and changed. 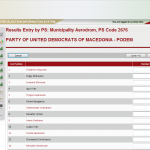 There are other valuable functionalities – reports for all the invalidates of the results by election race and by polling station, and finalization of the results.